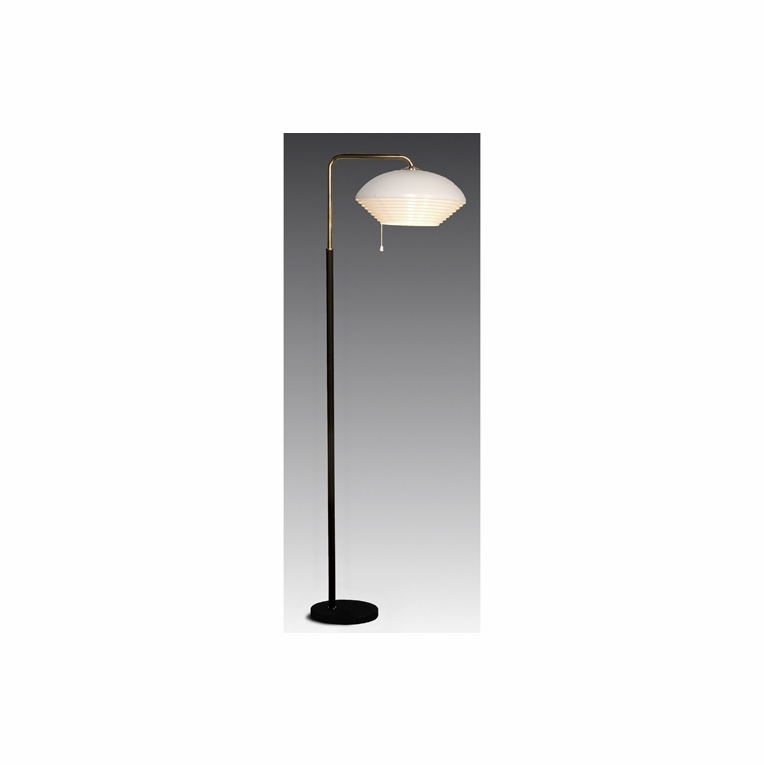 Known as the "Snow Bell", this floor lamp has a 14" painted matte white steel shade that is suspended from a sturdy metal stand. The base and stem are partially covered in black leather and beautifully detailed with brass accents. Pull cord. Simple assembly required.Please review our Shipping Information page before ordering. Payment: 50% will be charged at time of order, remainder will be charged at time of shipment.